An exclusive excerpt and audio clip from A Sin By Any Other Name by Robert W. Lee. Publishing on April 5, A Sin By Any Other Name: Reckoning with Racism and The Heritage of the South is a memoir by 27-year-old North Carolina native Robert W. Lee. A descendant of Confederate Gen. Robert E. Lee, Robert W. Lee chronicles his story of growing up with the South’s most honored name— and the moments that forced him to confront the privilege, racism and subversion of human dignity that came with it. Rev. Dr. Bernice A. King, daughter of Martin Luther King Jr., wrote the forward. When I was growing up, Statesville felt like the ideal Southern town. Situated at the intersection of Interstates 77 and 40 in western North Carolina, it bills itself as an All-American City and a city of progress. The town’s origins go back to the eighteenth century, when Scots-Irish Protestants settled the area and began cultivating the land for farming. Their hard work paid off. A century later, the community became one of North Carolina’s biggest growers of tobacco, and home to a healthy whiskey business. Generations later, when my family arrived, the industries changed and plants started to move overseas. — Statesville adapted with the times, or at least we tried. When I was a child in the 1990s, Statesville was in the midst of a boom, with the population surging more than 30 percent between 1990 and 2000, topping out at about twenty-four thousand people. About 60 percent of those residents were white, residing mainly on the north side of town, where my family lived. Nana and my dad owned a plant that made battery components, over on the south side. My brother, Scott, and I spent countless hours roaming the factory floor, blissfully unaware that it might not be the best playground for children. During hot Southern summers, Scott and I rode our bikes through the predominantly black neighborhoods that surrounded the redbrick plant. When it got too cold to stay outside for long stretches, we’d play inside, running through what felt like a life-size maze created by the tall stacks of cardboard boxes, or watching TV in the office, plopped down in mini La-Z-Boy recliners that had been purchased specially for us. We would overhear Nana and my dad talking about business, which was still doing well in those days. Sometimes, when we were lucky, we would watch PBS documentaries about the history of the South, and especially the Civil War, on the office’s box television. There was plenty of Thomas the Tank Engine, Mister Rogers, the Muppets, and of course Star Trek, too. These lessons, whether from war documentaries or the wisdom of Fred Rogers, caused Scott and me to think deeply about where we came from. We had heard about the War of Northern Aggression, the Great Rebellion, and the Civil War, but it never occurred to us that all of these names referred to the same thing. We knew the importance of neighborly love, but we had no idea that our family had committed atrocious acts against the nation. We knew the Civil War was bloody and bad, but we were kids, too, full of hope and expectancy for what might be next on television after the Civil War documentary was over. The deeper reckoning with our sense of place and our family’s role in our country’s painful past would happen over the course of a lifetime. At the end of the workday, Dad would drive us home to a neighborhood that could have come straight out of a 1950s-era television sitcom. Our home was a well-kept split-level situated within the Statesville Country Club, in a nice part of town with lush lawns and flowering trees. My parents, knowing how much it would mean to their children, had also purchased the empty lot next door, providing my brother and I plenty of room to spend hours outside playing. In the warm months, we’d run around outside until Mom called us in for dinner—literally ringing a bell to summon us inside. When we got a little older, we convinced our dad to buy us dirt bikes. Making figure eights, we raced each other around the lot until the turf was torn to shreds and we ran out of gas. Other times, Scott and I would take the BB guns we’d been given for Christmas and shoot at various homemade targets. Our childhood was undeniably Southern, resembling a picturesque movie about small-town white folk. And I loved it. On Sundays, our family worshipped at Broad Street United Methodist Church right in the center of town. I was baptized there on All Saints’ Day, a liturgical holy day that still holds a special place in my heart. It was at Broad Street that I began to understand the value of Christian community and, later, where I began to see the challenges facing my hometown and my church. But as a child, what I remember most was feeling inspired by the beauty of the worship services and the majesty of the church building itself. As you enter the sanctuary, your eyes are drawn up to a stunning Tiffany window that depicts an angel and the heavens. The window was saved from a fire that destroyed the original building at the turn of the twentieth century. Other magnificent stained-glass windows are situated throughout the church; when the sunlight is just right, streams of color flood the worship space, the brilliant white walls suddenly ablaze with reminders of God’s knack for beauty. The sanctuary where the congregation now gathers was built in 1909. Lees have worshipped there since the new building was erected, and my granddaddy has rung the bell in the church’s magnificent tower since as far back as I can remember, calling people to prayer in a rich, deep B-flat. My earliest memories of church come from the radio. Early on, I never went to the main worship service—“big church,” as we call it—because I was easily distracted during the sermon. Instead, Nana would take me home after Sunday school, and we’d listen on the radio. Whenever the congregation sang, I would try to pick out my parents’ voices amid the sea of worshippers belting out the great hymns of the faith. Around the age of ten, I remember skipping service altogether to run up and down the wheelchair ramp with my friends. It was an un-pious start for someone who would become an ordained minister, but it turns out it was actually the quintessential Lee way. When my dad was growing up, he skipped most services to play pool in the church basement with Linwood, the black sexton who cared for our facilities. When I started attending worship regularly, I couldn’t have been more than about eleven years old. But even then, I sensed that something was off. During our bike rides around Dad’s plant, my brother and I frequently saw black kids outside playing or walking with their families. But at our Sunday services, everyone was white. I couldn’t understand why our worship didn’t reflect the world outside the walls of our magnificent Gothic church. It wasn’t something I remember my family addressing, nor the pastors who preached from the pulpit. I’m not sure I even asked about it as a kid. We all just seemed to see it as just the way it was. My first memory of this divide being addressed happened not at church, but around the family TV. One hot evening, late in the summer right before school was about to start, my dad and I walked downstairs to the den and sat down in the deep-brown leather recliners. He handed me an ice-cold glass bottle of Coca-Cola and flipped on the television. He had grown up watching the original Star Trek in the 1960s and he wanted to share that special part of his childhood with me. Star Trek: The Next Generation was playing in reruns, so he made sure that we caught as many episodes together as possible. On this particular night, with my Coke in hand, the ice crystals stuck stubbornly to the bottle, the episode seemed heavier than the others. Called “The Measure of a Man,” the plot finds Jean-Luc Picard, the captain of the USS Enterprise, engaged in a tense debate about the future of one of his officers, an android named Data. A Starfleet scientist wants to subject the robot to a series of experiments to understand how he was created, but there is a risk that these experiments could end up destroying Data. The officers on the Enterprise must decide: Should the experiments be allowed to proceed? Midway through the episode, Captain Picard vents his frustration to Guinan, the bartender aboard the Enterprise, played by Whoopi Goldberg. Guinan is a mysterious character; little is known about her personal history, other than the fact she is hundreds of years old and very close to Captain Picard. As the two talk about the dilemma, Guinan makes the captain understand the serious moral questions about Data’s case. “Consider that in the history of many worlds, there have always been disposable creatures,” she says matter-of-factly. “They do the dirty work. They do the work no one else wants to do because it’s too difficult or it’s too hazardous. “Oh, I think that’s a little harsh,” she replies. I remember being confused by the exchange. People could use and throw away other people? It didn’t make sense to me. With wide eyes, I looked over to dad. “Could this really happen?” I asked him. “It has happened,” he told me. Sensing that I wanted to know more, Dad turned down the television so we could talk. “At one point in history, people treated other human beings as property,” he said, slowly, considering his words. Slavery, I now realize, isn’t the easiest topic to broach with a young kid. I stared in amazement: The concept of people thinking they owned other people was so foreign to me at the time that I didn’t really believe him. It would be years before I had to reckon with the fact that slave owners weren’t just theoretical, confined to history or to television. Rather, my own family members had been among them, even the man whose portrait hung in Nana’s den across town. But none of that came up as we sat in our own den that night. I remember feeling scared, unable to understand how human beings could own and mistreat other people. It was that conversation, the first I ever had with a family member about slavery, that began to pit my childhood sense of justice against my family’s Southern heritage. 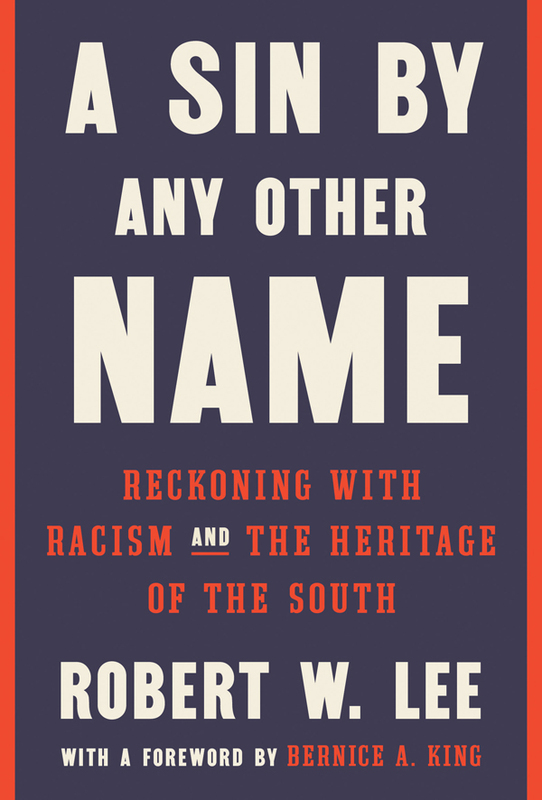 Adapted from A SIN BY ANY OTHER NAME: Reckoning with Racism and the Heritage of the South © 2019 by Robert W Lee. 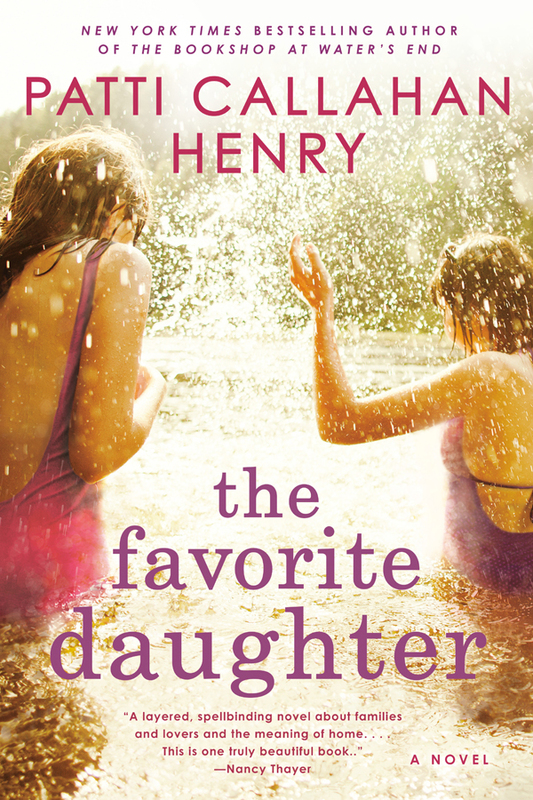 To be published by Convergent, an imprint of Penguin Random House LLC, on April 5. No part of this excerpt may be reproduced or reprinted without permission in writing from the publisher.Audio excerpted courtesy Penguin Random House Audio from A SIN BY ANY OTHER NAME by Robert W. Lee, narrated by the author.